AirPura F600 air purifier is the AirPura solution to formaldehyde. The AirPura F600 features large amount of AirPura specialty adsorbent, which makes the AirPura F600 an excellent choice for effective removal of formaldehyde and improving the air quality in newly constructed or renovated homes, mobile homes, motorhomes, travel trailers, office areas etc. AirPura F600 employs large True HEPA filter to ensure an effective removal of all allergens and dust. 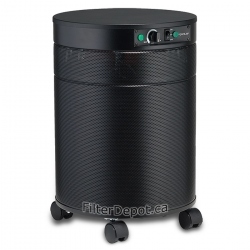 The AirPura F600 filter canister filled with large amount of specialty adsorbent effectively removes formaldehyde. AirPura F600 air purifier is powered by the energy efficient, vibration-free and quiet motor/fan assembly. AirPura F600 features a variable speed control - allows to set the optimal air flow in all situations. AirPura F600 delivers the overwhelming air flow of 560 CFM and can effectively clean areas up to 2000 sq. ft.
AirPura F600 features the non off-gassing the all metal housing with a durable appliance finish powder coat. AirPura F600 doesn't produce ozone or any toxic off-gassing and is an Environment Friendly air purifier. AirPura F600 is protected by a 5 / 10 Year limited manufacturer's warranty - strongest in the industry. 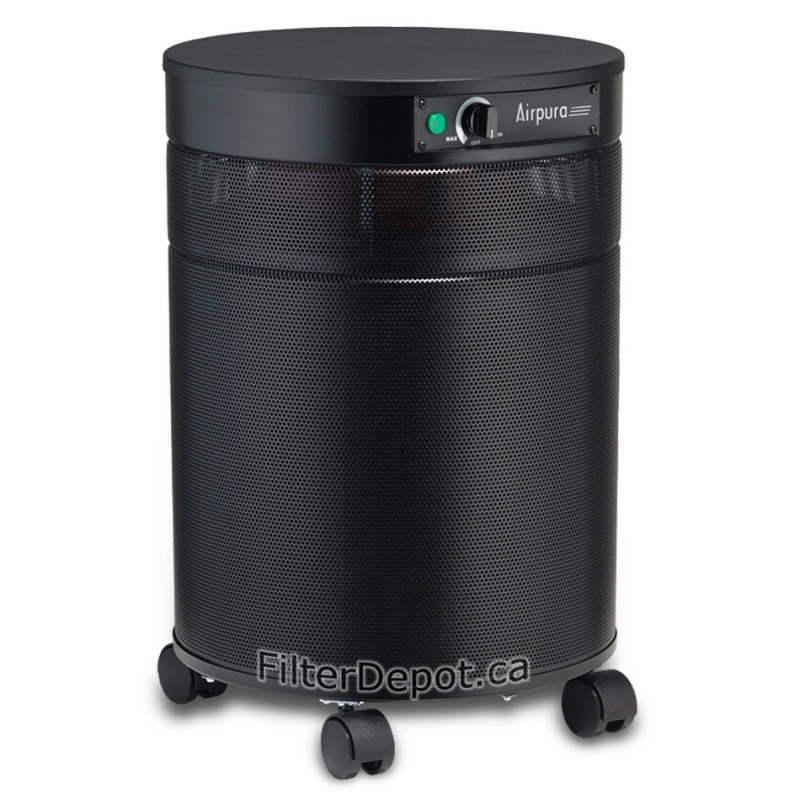 AirPura F600 ships Free by Ground service in Canada and the continental USA. The AirPura F600 purchases are exempt from US Sales Tax, Border fees and other charges. AirPura F600 carries a 30-Day Money back Satisfaction Guarantee Return policy (some conditions apply). AirPura F600 - When to Use? ArPura F600 formaldehyde removal air purifier is recommended for effective removal of formaldehyde released by new carpeting, new furniture, new flooring, fresh paint, beauty products, office machines, off-gassing from household items, exhaust gases from nearby traffic, etc. along with a guaranteed removal of all allergens and dust in medium to large areas up to 2000 sq. 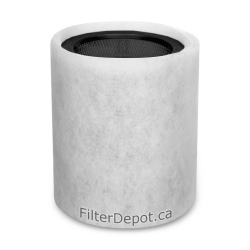 ft.
Large Long lasting True HEPA Filter. 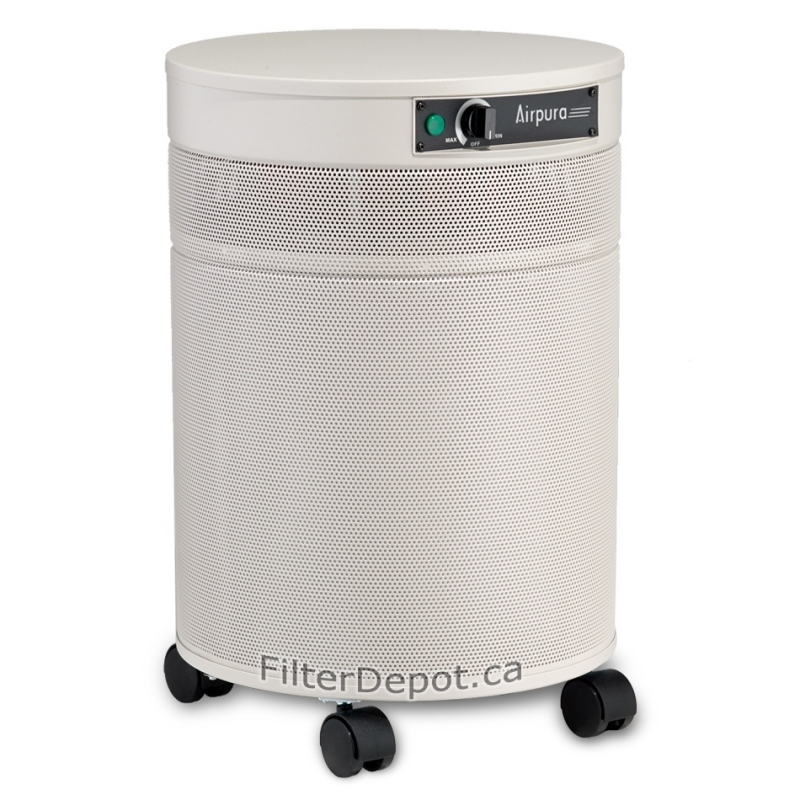 AirPura F600 employs standard 2-inch deep True HEPA filter that captures 99.97% of all microscopic airborne contaminants down to 0.3 micron in size to provide a superior level of protection from absolute majority of microscopic dust and allergens, such as: mold spores, plant spores, pollen, house dust mites and debris, lung damaging dust, pet dander, bird feather dust, microscopic ash particles in cigarette smoke and smoke from wood burning stove, etc. 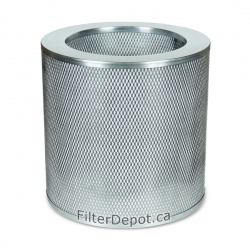 Large Separate Chemical and Odor Filter. AirPura F600 air purifier features large 2-inch deep filter canister filled with 18 lbs. of coconut shell based specially formulated adsorbent for enhanced removal of formaldehyde along with VOCs and most other regular and specific chemicals. 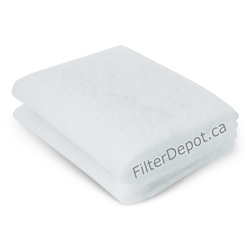 The standard Polyester based Pre-filter represents the first stage of the AirPura F600 air filtration system. 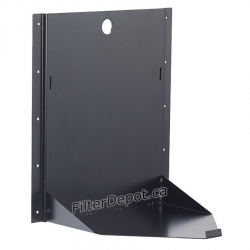 The pre-filter effectively traps most of larger dust and dirt particles. 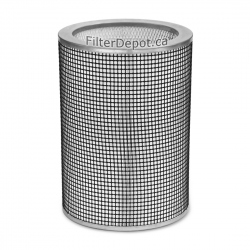 The pre-filter also provides an effective protection of fine True HEPA filter from faster contamination and extend its lifetime. AirPura F600 can be equipped with optional high output Germicidal UV Bulb for those who are looking for added superior level of protection from airborne pathogens: microbes, bacteria, germs, fungi, etc. AirPura F600 employs the same powerful, yet energy efficient Motor/Fan unit with variable speed control rated at 560 CFM. The variable speed control allows the AirPura F600 users to set the optimal air flow by selecting the speed setting that is the most suitable for any particular air cleaning application, the activity or a time of the day. The AirPura F600 one piece Motor/Fan assembly is factory balanced to ensure the vibration and noise-free operation. The compact design of a motor / fan unit allows for placement of larger filters and make the unit more compact. The motor and the electric components are placed in a separate chamber at a top deck. This allows to avoid the already filtered air getting in contact with air purifier components and thus, to prevent its re-contamination. 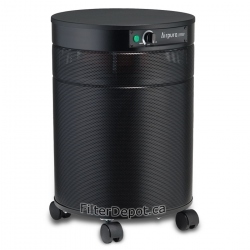 AirPura F600 air purifier can be equipped with optional 220-240V, 50Hz electric motor and power cord per customer's specification at extra cost. AirPura F600 features the unified throughout the AirPura 600 series models durable the all metal housing design. It doesn't produce any toxic off-gassing and will retain its original appearance for many years. 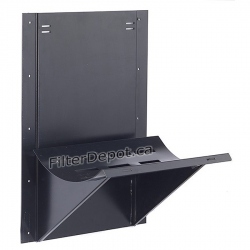 The perforated 360° Polluted air intake and 320° Clean air outlet ensure unobstructed air flow through the air filtration system and improve the overall air purifier performance. To ensure high level of mobility, the AirPura F600 is equipped with four Wheel Casters on the bottom panel. As most other AirPura air purifiers, the AirPura F600 model comes with the most comprehensive limited manufacturer's warranty. 10-Year warranty on Labor (the more expensive portion of the total repair cost). It gives the AirPura F600 air purifier owners a peace of mind.